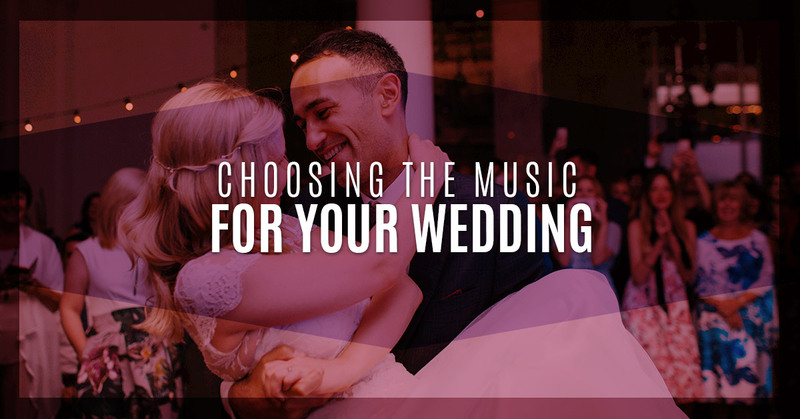 The music you choose for your wedding sets the tone, literally, for the entire party. When you think about it, you could split wedding planning into five separate parts: the date and wedding venue, the clothing, the pictures, the food, and the music. Unlike the smaller accents, these are the Big Five of wedding planning because they’re the aspects with which guests interact. Your guests behold your beautiful gown or tuxedo, experience the atmosphere of the wedding venue, pose for pictures, eat the food, and, of course, dance to the music! As a wedding venue in Katy, we’ve hosted hundreds and hundreds of weddings of all different styles and budgets. Some commonalities ring true when it comes to music, though, so we wanted to share the tips we’ve gathered over the years. Having a live band might be your dream music, but you want to consider whether this is truly practical for your budget and venue. Some wedding venues have acoustics that lend themselves to bands while others would do better with a speaker system. If you do want to hire a band, make sure you listen to them play in the venue first to see how it will actually sound. Also keep in mind that bands usually book in four-hour time slots. If you have a rowdy group of guests who will want to boogie all night, consider if four hours is really enough time. If not, hire a DJ instead of have a back-up playlist for when the band finishes. We usually think in positive terms of the songs we want to hear — as we walk down the aisle, dance our first dance as a couple, cut the cake, and say goodbye. While it’s certainly a good idea to have these designated songs chosen, you also want to make sure you have a “Do Not Play” list. Especially if you hire a DJ, they might play your least-favorite party anthem if you don’t tell them otherwise. If you’re morally opposed to group dances (like the Cha Cha Slide), let them know. If you don’t want there to be any sappy slow dances, let them know. It’s better to be explicit here than to fake-smile as you dance to music you hate. If you’re planning a wedding on a budget, consider asking a friend to do the DJ’ing. In the days of music streaming, you can make it work without an official DJ or band. Make sure you have equipment that works, fits with the wedding venue, and a friend willing to oversee the playlist. The advantage of this option is that you can hand-select the playlist beforehand, so you don’t have to worry about bad songs or music not suited to your group. Part of ensuring your music is a hit involves making sure you have the right venue for dancing. As the Top Rated Local® Event Hall in Katy, Alegria Gardens offers wedding package options complete with DJs, catering, and photography. Knock out the Big Five of wedding planning in one with Alegria Gardens.